If you’ve followed my reviews, you should know by now that I’m a fan of author C.E. Wilson’s work, particularly her tales of size-disparate people. Whether it be the giant world of To Nowhere, or the dystopian tale with a twist The Boy with Words, you know you’re in for a well-thought-out story with her. So when the opportunity arose to read a newly revised edition of her novel The Promise—in exchange for an honest review—I didn’t hesitate. I actually read this story a few years ago before I started blogging. I enjoyed it then, and it prompted me to pick up her subsequent books when they were released. After seeing her exceptional work afterwards, particularly with YA plots, I was intrigued to revisit this story, which is an NA (New Adult) urban romantic fantasy. So how does it compare to the story that hooked me on her writing in the first place? Let’s take a look, after I make the promise to be as spoiler-free as possible. The book opens in a doctor’s office, with our narrator Lily receiving confirmation of an unbelievable diagnosis: she has been shrinking, and at that appointment, she stands about one foot shorter than her original six-foot height. On that very same day, her live-in boyfriend Erik proposes marriage to her—complete with an engagement ring that fits her thinned finger. If you’re ever looking for truth in the old adage opposites attract, look to Lily and Erik. They have very different upbringings: he comes from a wealthy and loving family, while she has bounced through foster homes and has learned to fend for herself. She comes tattooed and dreadlocked vs. his clean-cut white-collar status, but they really fit together well as a couple. With Erik well over six feet tall, and Lily in the mid-four-foot range, they experience stares, whispers, and rude comments from patrons and employees in a clothing store and a diner. During these scenes, I thought about how this book really had the potential to be a parable for fair and respectful treatment no matter your size, shape, appearance, or physical/medical condition. Everyone deserves that—isn’t that what it means to be human? What does it mean to be human? is the provocative tagline for the book. The question weighs heavily on Lily as she shrinks beyond the size of a Barbie doll and feels less and less human. However, I find her humanity shows through more when she is so small. She loves Erik so much and can’t expect him to take care of her while she’s helplessly small, but worse, she can’t bear to watch him go through the sadness of watching her wither away, perhaps to nothing. That’s where the titular promise comes into play—which I won’t reveal because I promised I wouldn’t spoil certain things. Though Lily’s characterization grows more complex as she shrinks, the real star of the story is Erik. His dedication to his wife, no matter how small she gets, is incredible and uplifting to read about, and it brought to mind true-life stories of people staying by the side of loved ones with terminal diseases. Though the ending is heartbreakingly bittersweet in how it touches upon another theme, the circumstances leading to it—particularly with the introduction of a third character—seem a little too convenient given the really deep issues posited by the story. In real life, terminal afflictions such as cancer can strike without warning, and though Lily’s shrinking is hopefully not realistic, it striking her randomly has in-world believability. However, this is a story and not real life, and Lily’s unique medical condition can be used metaphorically. Does it symbolize that how well people fit together is sometimes temporary? Or does it try to show that true love can overcome such changes? I’m not sure. But hey, Wilson is an extremely talented and imaginative author. There are well-developed and likeable characters, a sweet romance, and a unique plot that clearly made me think about many different real-world issues—so much that I wanted more of that, particularly before Lily shrank all the way to doll-size. But there’s so much human insight in this story, so let my FOUR-AND-A-HALF-STAR review of The Promise be a promise that you’ll enjoy it. 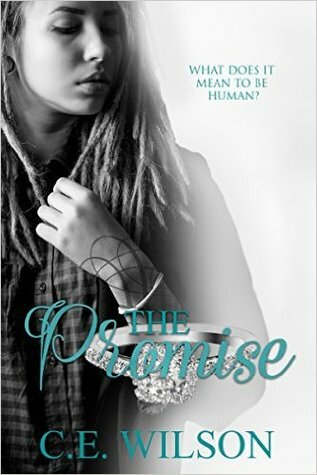 Sign into Goodreads to see if any of your friends have read The Promise.